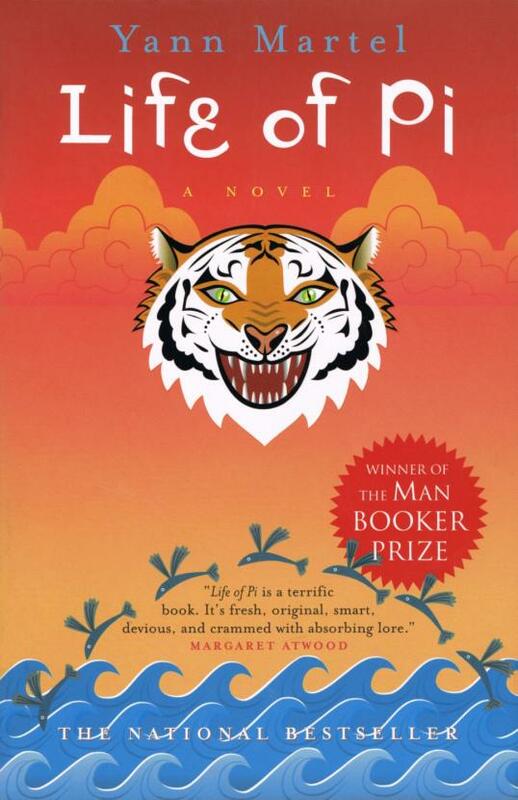 Life of Pi is a best-selling and award-winning novel by Canadian author Yann Martel. 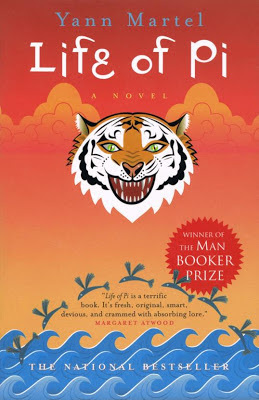 The story revolves around an Indian boy named Piscine Molitor "Pi" Patel who finds himself stranded in a lifeboat with a Bengal tiger after a shipwreck. I know from past experiences that either reading the book before watching the movie adaptation or vice versa is a losing proposition. It ends up spoiling whatever comes second. So I adopted a new strategy: I would start the book – without finishing it – before walking into the theater. By the time I put on my 3D glasses, I was on page 102, about a quarter way into the novel. 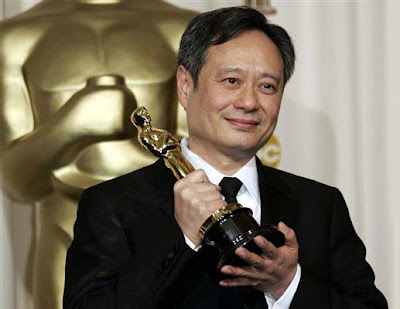 I was excited that Ang Lee, one of my favorite directors of all time, has taken on the challenge of adapting an almost unadaptable movie. Ang’s films, from Eat Drink Man Woman to Crouching Tiger, Hidden Dragon and Lust, Caution, have the power to re-invent the relevant genres. Hulk is a rare exception where the director might have second-guessed himself and over-thought the project. 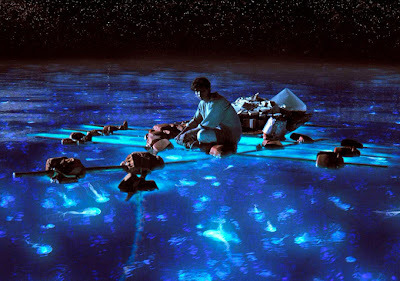 In Life of Pi, Ang shows us what he does best: storytelling. The film is a triumph and is widely expected to be a serious best picture contender at the next Academy Awards. Yann Martel must have been very pleased. Life is Robinson Crusoe meets National Geographic. While the audience fears for the castaway and admires his courage and resourcefulness, it is given a zoology lesson on nature’s endless wonders. The film is a David Attenborough’s documentary on steroids. Watching the boy hero cope with his feline companion while simultaneously fighting the elements, we are reminded of the many parallels between the animal world and our own, as well as our powerlessness against the vicissitudes of life. Nature gives, but it also destroys. Life is one of most cinematically stunning movies ever made. It is the reason 3D technology was invented. The opening sequence, a poetic stroll through the zoo run by Pi’s father, is a visual feast of exotic animals and birds. Then there are the glowing jellyfish that set the ocean alight, the flight of flying fish that looks like an airborne animal stampede and the meerkat colony on a mysterious floating island that draws a simultaneous “wow” from the audience. Even though the movie boasts no big marquee names, it requires none because the real star of the movie is Mother Nature herself. A great movie is one that moves you and leaves you thinking about it for days and weeks. Life does both. Is the story about religion and our relationship with God? Or is it about loss and the pain of letting go? The Pi character puts it best: “why can't it just be a story, why does it have to mean anything at all?” He is right. All I know is that far from spoiling the novel, the movie makes me want to finish the rest of it more than ever. Obama once described the novel "an elegant proof of God" - any insights if you "feel" this proof and which part of the story can we find this ? Coz I feel quite uncomfortable when the other version of the story is told at the end. If religion is a similar analogy, my gut feeling is the novel kind of diminishes religion to mere human fantasy that keeps hope high to carry on. Anyway. I won't try to over-think the book, especially since I am yet to finish it. I believe Martel is advocating a reconciliation or even unity of religions. There is only one higher power, whether it is Christ, Allah or a line-up of Hindu gods. The higher power gives, but it also takes without reason or explanation. As such, it is all rather existentialist. 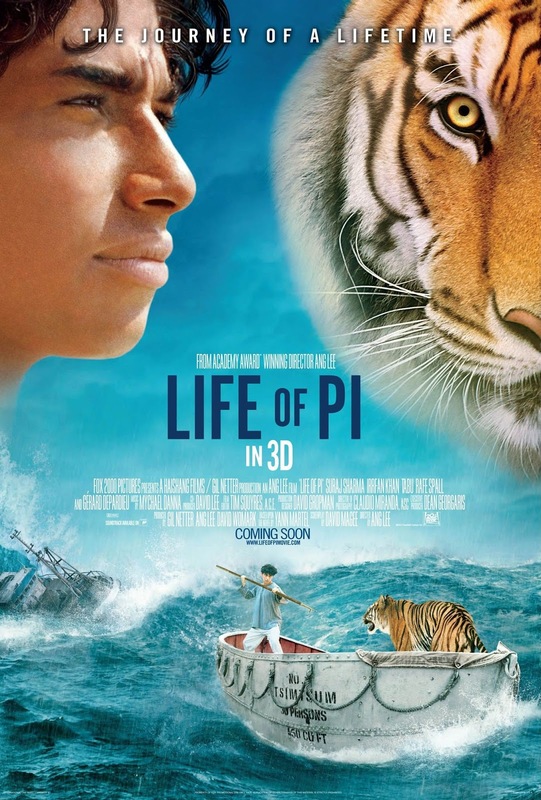 Hence, in the movie, Pi was seen reading Camus and Dostoevsky -- two of the best known existentialist writers. We saw this tonight and both liked it very much. One thing Ang Lee does not do is waste the audience's time. I really want to go to see the movie RIGHT NOW after reading your review!!! Can't wait!!! Great review Jason! Im so glad you asked me to read your review before i got hooked on to the book. Thank you! thanks! i was thinking to view the 2D version...but now i made up my mind to spend a bit more! Existentialism.... how come he is not reading Kierkegaard (however you spell it) and Satre then? Or have I mixed up all the schools of thought of these writers? It's a very good movie! Thanks Jason! it is indeed an incredible experience in the cinema theatre last evening. the main part of the story, though, led comparison to some scenes in Tom Hank's Forrest Gump and Cast Away. And those marvelous images about the Nature and its force, isn't it just as stunning as those in the Tree of Life of Terrence Marlick? This, however, does not deprive the slightest of the values (wherever they lie) of this great film. i should be so grateful to these people who told such an incredible story through the language of cinema! and your review really helps! thanks! 2. it leaves much food for thought as to how to conduct our lives, what to believe in, and the hope one should nourish in life no matter how dire the situation is. Yup, Jason, like you, I started but didn't manage to finish the book before I walked into the cinema (I didn't deliberately refrain from doing so though, I actually wanted to finish it beforehand) but right now, the only thing I want to do is to finish the book itself. It's more than helpful, mate, it's insightful! There's no doubt that "Life of Pl" absolutely stunning. When the ads were on the TV screen early this Nov, my gut feeling urged me that I should go to see it rightaway. Hectic life recently and not until this afternoon, I saw it finally and it really didn't fail me. Being the christian I am, the "messages" from the movie are so compelling to me that I hardly believe to have my tears kept falling almost till the end of the show. And I still keep thinking why there was a scene that "Richard Parker" abandoned PI so unceremoniously, without any sort of goodbye and even withoug looking back once. PI, at that moment, should have his heart broken completely. Any metaphor out there ? Thinking of this bible verses from "Philippians" (my favourite chapter)- But one thing I do : Forgetting what is behind and straining toward what is ahead, I press on toward the goal to win the prize for which GOD has called me heavenward in Christ Jesus. (我只有一件事，就是忘記背後，努力面前的，向着標竿直跑，要得神在基督耶穌裏從上面召我來得的獎賞。)Hope it helps to explain everything ！But, what if that "Richard Parker" looks back ?? !